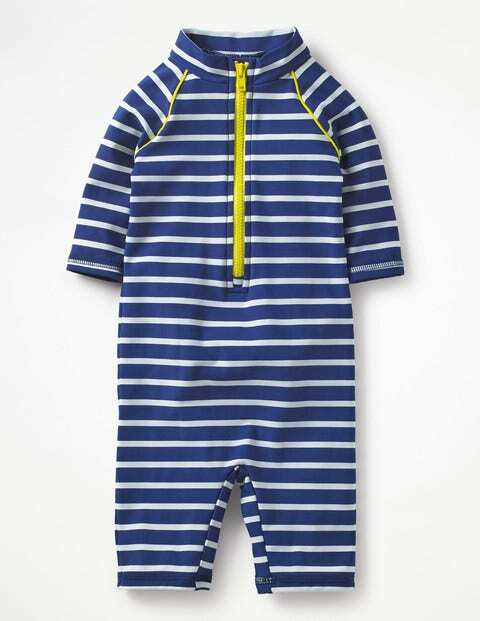 When it's time for baby's first trip to the beach, pop them in this comfortable, playful surf suit. It's crafted from UPF 40 fabric to protect them from the sun and is super comfortable. The zip down the front makes changes so easy you could do them one-handed (leaving the other one free for a well-deserved ice cream, of course).